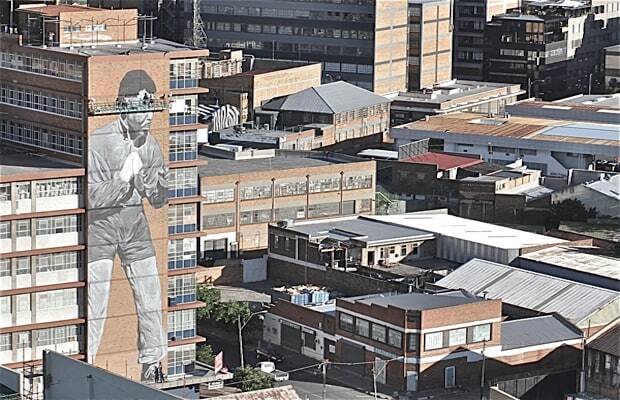 Street art tribute pieces for Nelson Mandela have been popping up all over the world since his death, and they are all pretty impressive, but the fact that this Freddy Sam mural is 10 stories high gives him a bit of an edge. The South African artist was commissioned by the Maboneng precinct to create a piece of art that they could give to the people of South Africa after they lost their heart. The mural features a younger Mandela in a boxing stance, modeled after an iconic image of the leader taken by Bob Gosani. A king-sized mural for a man who, for many, was larger than life.